Quincy Jones, Elvis Costello, Paul Shaffer and Jeffrey Wright are part of the lineup for the Jazz Foundation of America's A Great Night In Harlem concert on May 17 at the Apollo Theater. 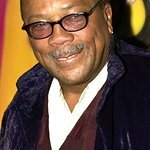 Quincy Jones will pay homage to his mentor, legendary trumpeter Clark Terry who just turned 92 and introduce a memorial musical tribute for his dear friend Claude Nobs, the beloved Montreux Jazz Festival founder. For 24 years, the Jazz Foundation of America has been dedicated to saving the homes and lives of elder jazz and blues musicians in crisis. They now assist in nearly 6,000 cases a year, including hundreds of musicians and their families affected by Hurricane Sandy in the New York region as well as those still recovering from Katrina in New Orleans. Find out more about the concert and foundation here.